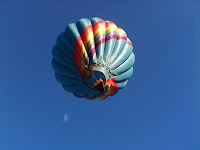 Welcome to the final instalment of a three part series recounting the adventures of my wife, Maureen and I while visiting the Albuquerque International Hot Air Balloon Fiesta, the largest event of it’s kind on the planet. The first instalment centered on our experiences as novice spectators at this amazing event while the second instalment focused on our adventures as volunteers with a hot air balloon support team. This final instalment details our odyssey as passengers in a hot air balloon as we soar high above the New Mexican landscape. If you’re ready to continue this amazing adventure then, sit down, buckle up and read on! Welcome to the second of a three part series recounting the adventures of my wife Maureen and I at the Albuquerque International Hot Air Balloon Fiesta, the largest and most well attended event of it’s kind on the planet. In the first instalment, my wife and I traveled to New Mexico’s largest city early in October as novice spectators this amazing event. 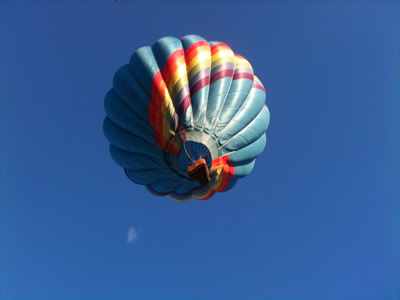 In this second instalment, my wife and I volunteer as members of a hot air balloon support team and learn a lot more about hot air ballooning then we could have imagined. If you’re ready for another amazing adventure then, sit down, buckle up and read on! Welcome to the first of a three part series describing the adventures of my wife Maureen and I as we attend the Albuquerque International Hot Air Balloon Fiesta, the largest event of it’s kind on the planet. This first instalment highlights on our experiences and impressions as novice spectators at this amazing event. The second instalment focuses on our involvement as volunteers with a hot air balloon support team while the third recounts our exploits as passengers in a hot air balloon. If you’re ready for the thrill of a lifetime then, sit down, hang tight and read on! California Highway 1 - The Pacific Coast Highway - has to be one of the most iconic and well-known roads on the continent. 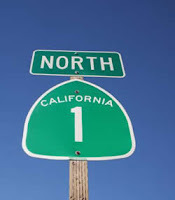 From Los Angeles in the south to the village of Leggett in the north, this two lane ribbon of asphalt twists and turns along the California coast revealing countless vistas of incredible scenic beauty and dramatic ocean views. Little wonder it has been the focus for innumerable adventure bloggers, photographers and travel writers who typically navigate this twisty, two lane route in a sports car, hatchback or other small vehicle. But, what about an RV? How difficult would this route be for a pick-up truck pulling a 25 foot trailer. 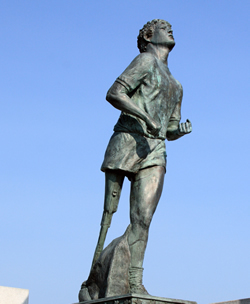 What difficulties and challenges might there be? That's what my wife Maureen and I intended to find out on this route that was anything but less travelled. 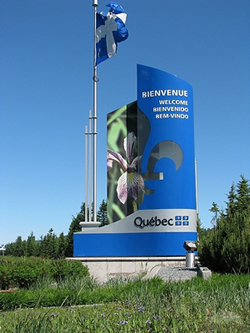 When talking to friends and family about RV’ing across Canada, one question that often comes up is, “What’s it like travelling in Quebec?” Unstated but implied is their real query, “What’s it like to travel in a province where the principal language that people converse in, that road signs are displayed in, that menus, tourist brochures, maps, etc. 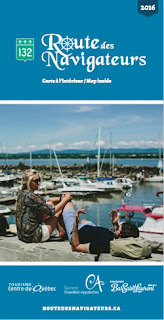 are printed in, is not English.” This unstated question usually arises from a multitude of myths, misconceptions and stereotypes surrounding Quebec, its residents and their attitude towards English speakers. What's There To Do In The "Soo"? The comedian Rodney Dangerfield and the city of Sault Ste Marie share at least one thing in common. Neither one gets much respect. 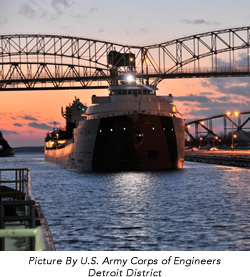 For Canadian travelers in particular, Sault Ste Marie is often seen as little more than a wide spot in the road where they can get some gas, maybe a meal or perhaps a night’s sleep before moving on. The idea of actually spending time in the area is as laughable as one of Mr. Dangerfield’s jokes. Nevertheless, there are an amazing number of things to see and do in the “Soo” (the city’s nick-name) as my wife, Maureen and I discovered during a recent cross-Canada trip. It’s hard to get excited about visiting a city that’s referred to as, “Winterpeg” by many of its citizens. And, the negative quips don't end there. Other comments include; “Winnipeg has two seasons, 10 months of winter and two months of mosquitoes.” or “’Winnipeg’ is Cree for muddy waters. The Cree don't have a word for horribly depressing city.” or “Winnipeg is the only city where you can switch from ‘heat’ to A/C and back again, all in one day.” or “In Winnipeg, there are 4 seasons: almost winter, winter, still winter, and road construction.” or “In Winnipeg, your snow blower will have more miles on it than your car.” Such self-deprecating humour may be a therapeutic way to cope with adverse conditions but, does little to encourage tourism, or so my wife Maureen and I thought when planning a recent trip. Had it not been for a good friend and former resident who extolled the virtues of the ‘Peg, we might have bypassed the city entirely. Instead, we decided stop, take a look and explore. 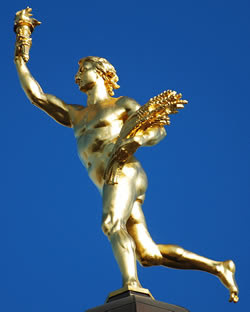 In doing so, we discovered that Winnipeg was a wonderful city with much to offer. Do You Know The Way To Thunder Bay? 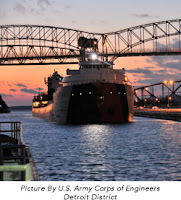 “Do You Know The Way To Thunder Bay?” (Apologies to Bert Bacharach and Hal David). Anyone who has driven across North Western Ontario from Winnipeg to Thunder Bay will appreciate the humour of this question. After all, there is only one main road between the two cities - the TransCanada Highway – and, it’s a drive most motorists would rather forget. From the Ontario border to Lake Superior, this asphalt artery is just two lanes wide yet carries a LOT of traffic, especially during the summer months. Add in scenery that’s not very scenic plus drivers who are usually in a hurry and the result is a “way” that’s less than ideal for Rv’ers. Luckily, there is an alternative route which bypasses much of the TransCanada Highway and its issues. It’s a route that’s much less travelled but much more interesting and much more accomodating for slower moving recreational vehicles as my wife Maureen and I discovered during a recent trip across Canada. Thunder Bay is a unique city. Located within Canada’s most populous province, it’s one of the country’s most isolated cities. 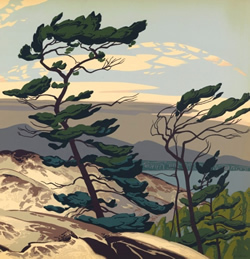 An urban oasis amidst a hinterland of rocks, trees and muskeg, Thunder Bay is a long way from anywhere. Winnipeg is a day’s drive to the west while Toronto, Hamilton and Ottawa are even further to the east. Small wonder this community is on no one’s top ten tourist destinations list. Nevertheless, this community offers a surprising number of attractions and activities for those willing to spend a little time and do a little exploring as my wife and I discovered during a recent cross-Canada trip. 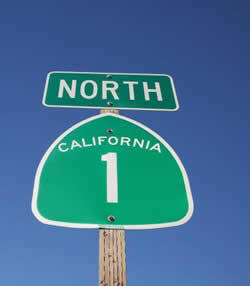 North America is blessed with many scenic drives. Some, such as the Cabot Trail, Oregon Highway 101 or Pacific Coast Highway, run along the sea coast and are famous for their spectacular scenery and dramatic ocean vistas. Less well known but no less scenic is Ontario Highway 17 (TransCanada Highway)which follows the north shore of Lake Superior from Thunder Bay to Sault St Marie. This route shares many of the scenic attributes of more well known drives such as rugged headlands, rocky shorelines, sandy beaches and shimmering waters. In fact, the landscape along the north shore of Lake Superior is so picturesque and compelling, it has inspired countless generations of artists including members of the famed Group of Seven, as my wife and I discovered during a trip across Canada. The southwestern corner of Saskatchewan is an amazing location that will both confirm and challenge everything you thought you knew about this part of the country. 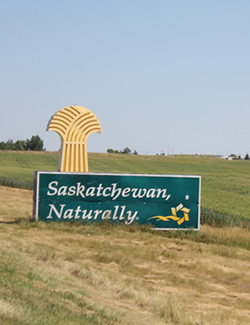 Yes, there are the expected endless fields of golden grain rippling gently in the breeze but there’s so much more as well - like sand dunes, forests, hills, grasslands, a huge man-made lake and the “piece de resistance”, Saskatchewan’s only winery. All this and more were discovered by my wife, Maureen and I during a recent trip. When most RV’ers think about heading to Canada's east coast, visions of the Maritimes dance in their head. Nova Scotia, New Brunswick, P.E.I. or even Newfoundland are the typical places that come to mind. Seldom considered is the other East Coast – the Gaspé Peninsula. 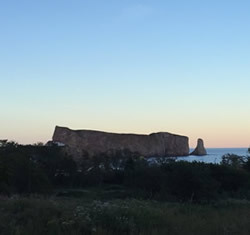 Although part of Quebec, the Gaspé offers scenery, attractions and ocean vistas rivaling the best of the Maritimes as my wife Maureen and I discovered during a recent trip through eastern Canada. Manitoulin Island was one of those undiscovered gems my wife Maureen and I happened upon by accident while travelling across the country. Located along the north shore of Lake Huron about 175 km southwest of Sudbury, it has the distinction of being the largest fresh water island in the world. While big in size, it is small in population with less than 15,000 permanent residents. The result is a peaceful, serene, unhurried way of life that the tourist bureau loved to promote along with the island’s unique geology, beautiful scenery, pastoral countryside, picturesque shoreline, and significant population of artists and craftspeople. In other words, a perfect, “Routes Less Travelled” destination. It was the title of the colourful brochure that caught my eye, “Route Des Navigateurs”. I had been wandering around a visitor information office in downtown Montreal, perusing racks of tourist pamphlets, looking for inspiration. My wife, Maureen and I had just spent several glorious days exploring the wonders and attractions of Quebec’s largest city. Now, it was time to move on. 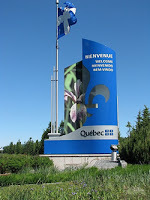 Our next stop was Quebec City, then on to the Gaspe. The quickest and most expedient route was the multi-laned Trans-Canada highway but, that wasn’t our style. This blog is about routes less travelled and that’s what I hoped to find when I picked up the pamphlet. The title, roughly translated meant, “Route of the Navigators” or “Route of the Explorers”. In my mind’s eye, this evoked images of great French navigators like Samuel de Champlain or Jacque Cartier. I felt an immediate connection. After all, weren’t they and modern day RV’ers kindred spirits, motivated by the same desire to see what lay over the horizon or around the next bend? Naturally, I picked it up. Welcome to the second of a two part series chronicling the adventures of my wife, Maureen and I as we followed the Red Coat Trail across the Prairies. The Red Coat Trail is a series of provincial highways, which more or less followed the route taken by the North West Mounted Police back in 1874 on their march west from Manitoba to Southern Alberta. Maureen and I however, were going the other way. Our starting point was Fort Macleod in Southern Alberta and we were headed east. 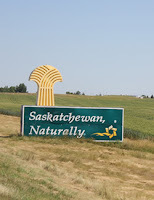 By the end of part one, we had reached the middle of Saskatchewan. Along the way, we had visited some interesting attractions, driven over some unique roads and experienced some very empty yet beautiful landscapes. 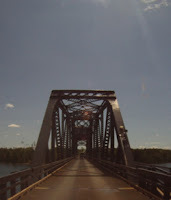 In part two, we continued east along the Red Coat Trail to its end, near Winnipeg, Manitoba. Please join us for the rest of our adventure. Welcome to the first of a two part series chronicling the adventures of my wife, Maureen and I as we follow the Red Coat Trail across the Prairies. 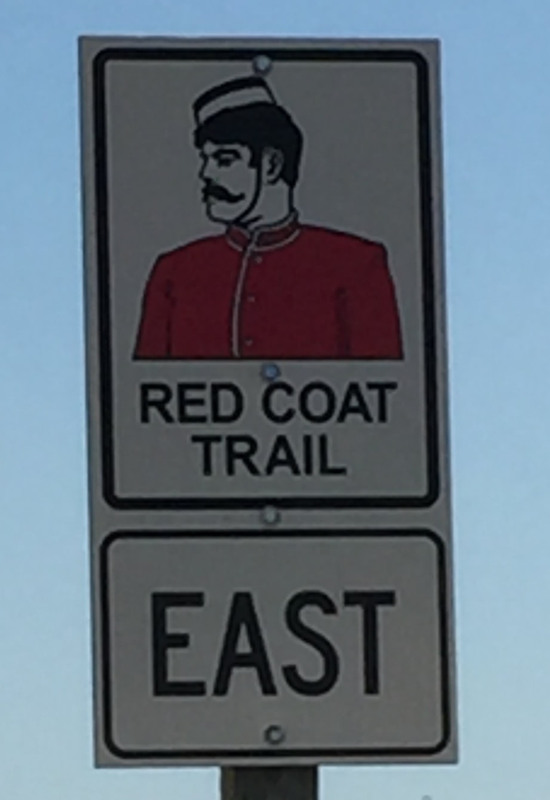 The Red Coat Trail, in case you’re wondering, is a series of provincial highways, which more or less follows the route taken by the North West Mounted Police back in 1874 on their march west from Manitoba to southern Alberta. 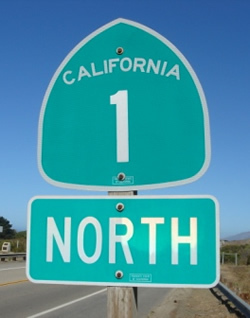 The route was marked by distinctive roadside signs to help modern travellers stay on course. It’s funny what random and bizarre thoughts percolate through a person’s mind while waiting for a ferry. In my case, it was the name of the ship that my wife and I plus two friends were about to board. 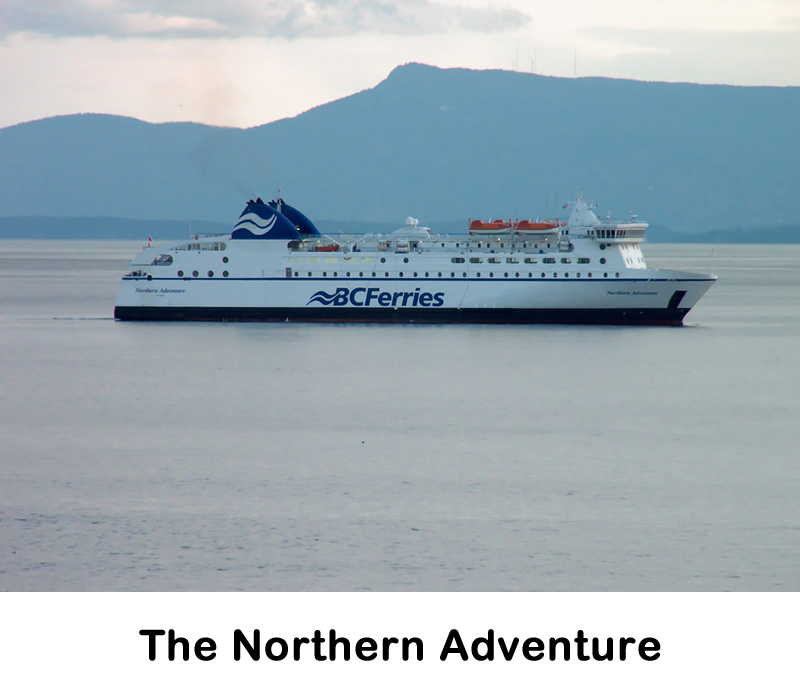 The vessel that would take us from the port of Prince Rupert on the Northwest coast of BC across 100km of open ocean to the storied isles of Haida Gwaii was called the, “Northern Adventure”. That struck me as a rather odd. Don’t get me wrong. I like a good adventure as much as the next person but in a suitable craft such as a canoe, kayak or even a white water raft. 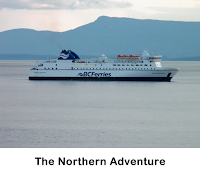 On a ferry, I prefer calm, peaceful, unadventurous voyages yet as I waited for the loading process to begin, I couldn’t but help wonder if the name was simply a marketing ploy or an omen of things to come. The answer arrived sooner then expected.